I haven’t written for quite sometime now, have I? How are you all doing? I hope you are well and happy 😀 I am doing okay. I have a back problem, but it’s getting better now after a couple of visits to a physiotherapist. My cat Sandy is also well, he’s becoming more like a forest cat now, a bit aggressive when we play. But, a few bite marks on my arm are fine! Well, I’m just gonna let my photos tell you the story now. If you wish, you can also share your bucket list with me and what’s the next item you want to tick off. 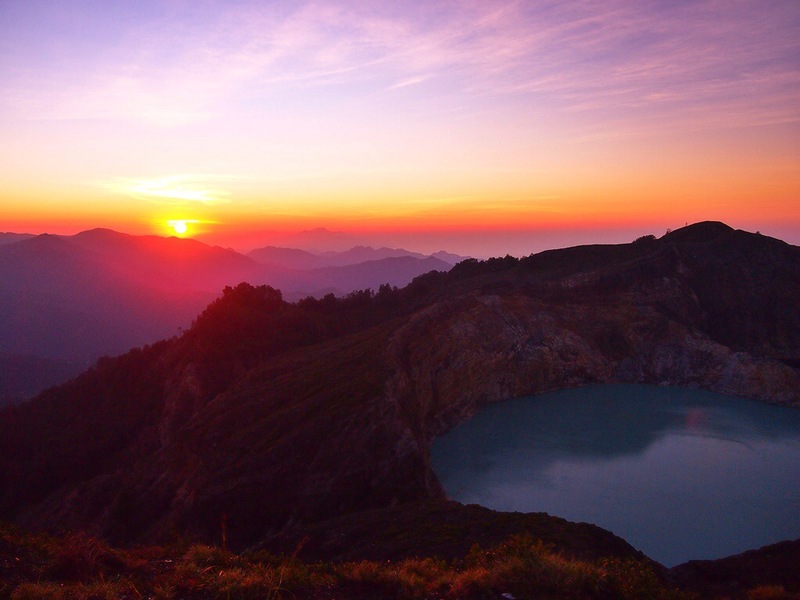 Mount Kelimutu has 3 craters that are lakes with 3 different colors: blueish green, dark red and black. The largest one is the blueish green in this picture. 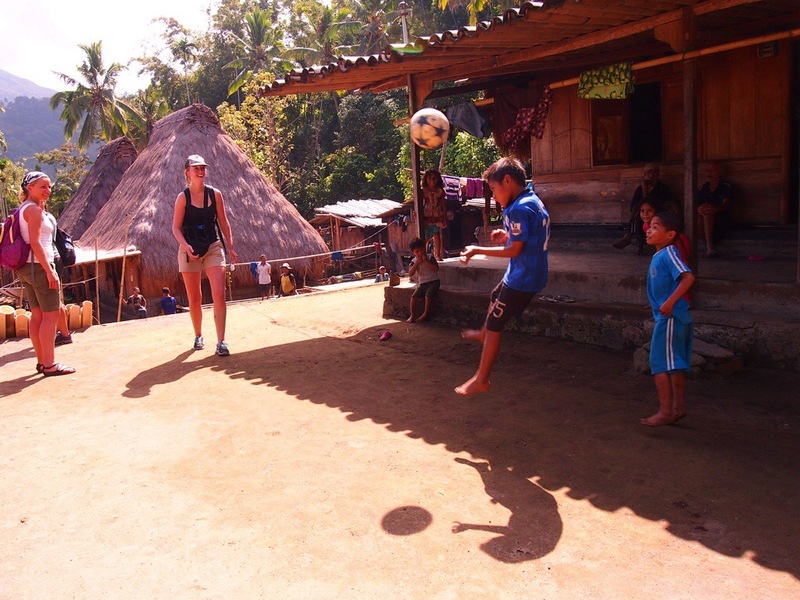 Kids love football/soccer so much in Flores. Most of them wear football jerseys, albeit the fake ones. This kid heading the ball is a fan of Robin Van Persie. 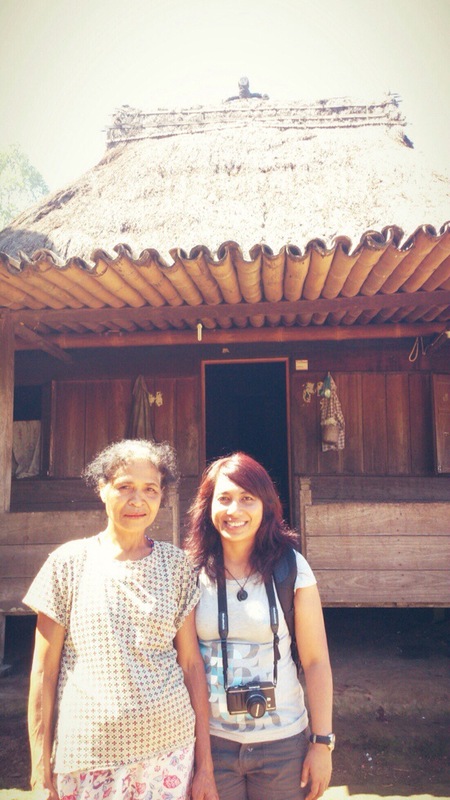 In Flores, people address older women as “Mama”. Just like this lady here. 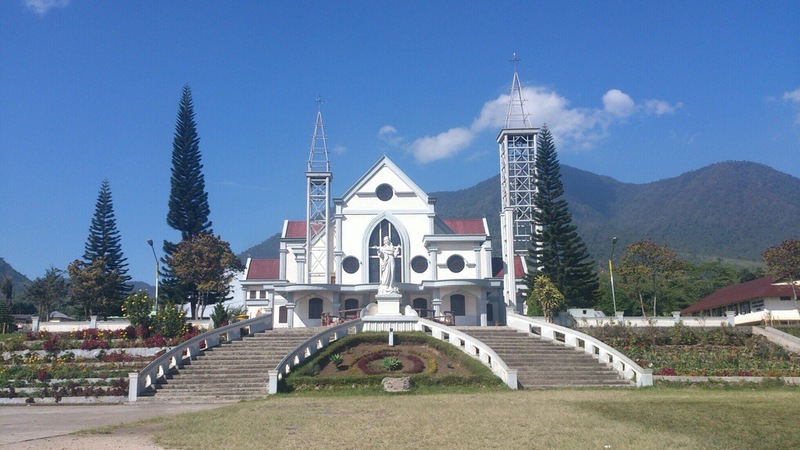 I did not expect to find a cathedral built with such a picturesque background in Flores! 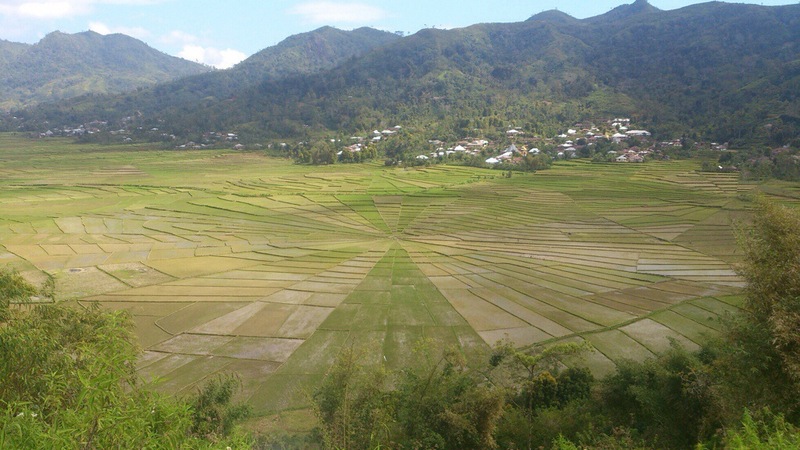 In a village called Cara, we can find these uniquely Flores rice fields. They are arranged in a spiderweb pattern and on the center is where the farmers gave offerings to the gods before planting season started. 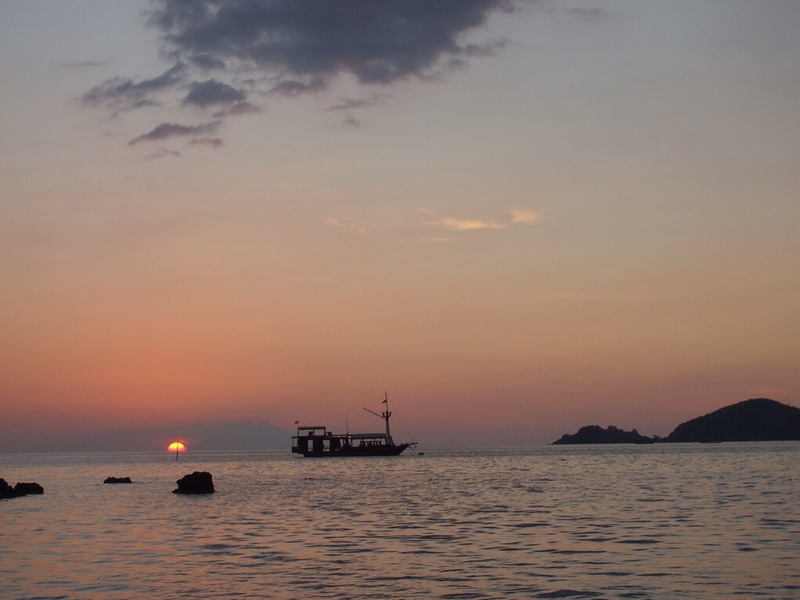 I can do this all year: sit by the beach and watch the sun goes down in Labuhanbajo! 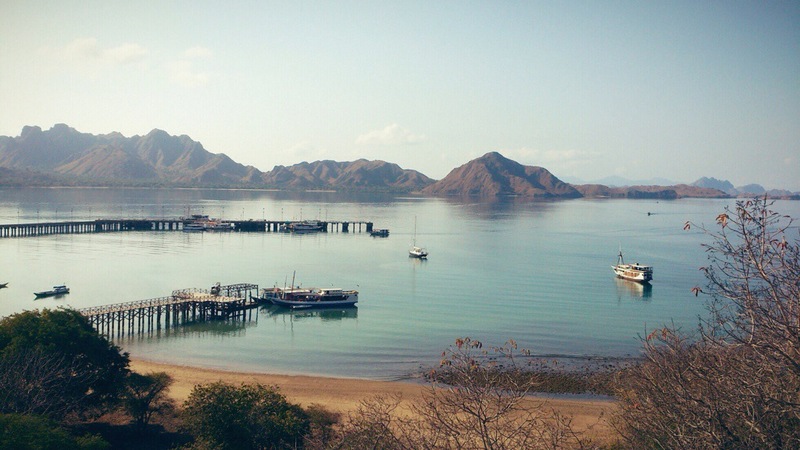 The trekking routes for komodo sighting include the scenic spot on top of a hill called Fregata. 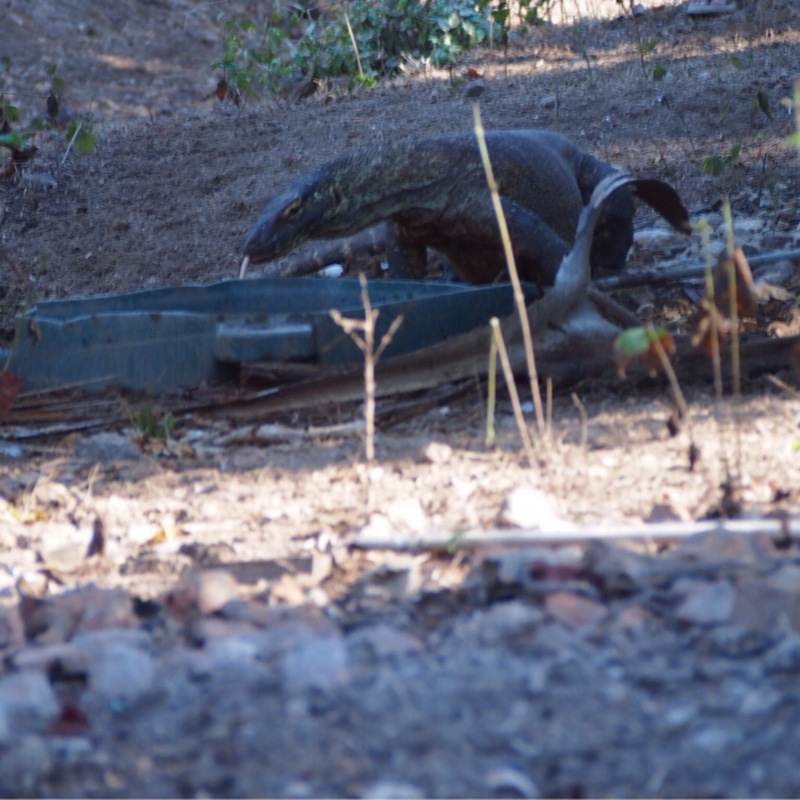 Last, but definitely not least, the Komodo dragon, unique to Indonesia and only exist in 2 islands: Komodo and Rinca. They are giant lizards that can grow to 3 m long and eat a prey 40 kg in weight.